spectrum of careers in the aviation and aerospace industry. We give every camper the opportunity to fly in an aircraft if they chose to. Additionally, every camper is given the opportunity to fly an aircraft full cockpit simulator. 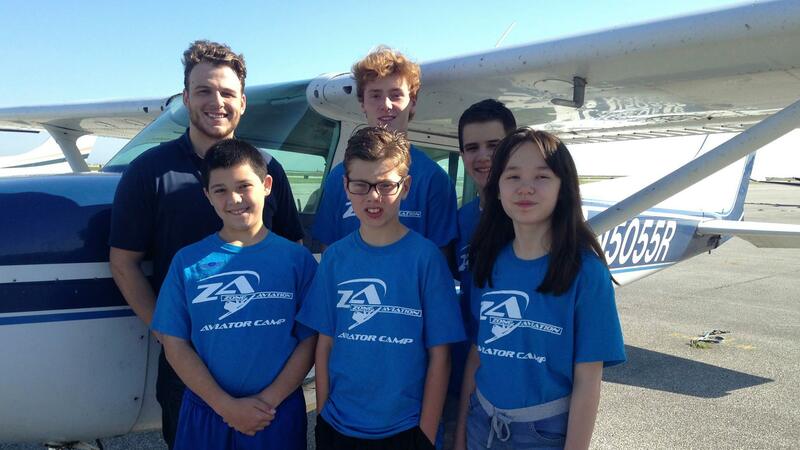 Camp is offered throughout the year at Zone Aviation’s Burke Lakefront Airport location. We offer two youth courses- The Aviator and The Senior Aviator. Contact Zone Aviation at (216) 333-1537 for camp dates! The Aviator is for students with little or no previous aviation knowledge or experience. The class camp runs for one week, Monday through Wednesday, June 24 - 26, 9:00 a.m. - 12:00 p.m. and Thursday, June 27th 9:00 a.m. – 4:00 p.m. with Friday, June 28th reserved as a rain date. 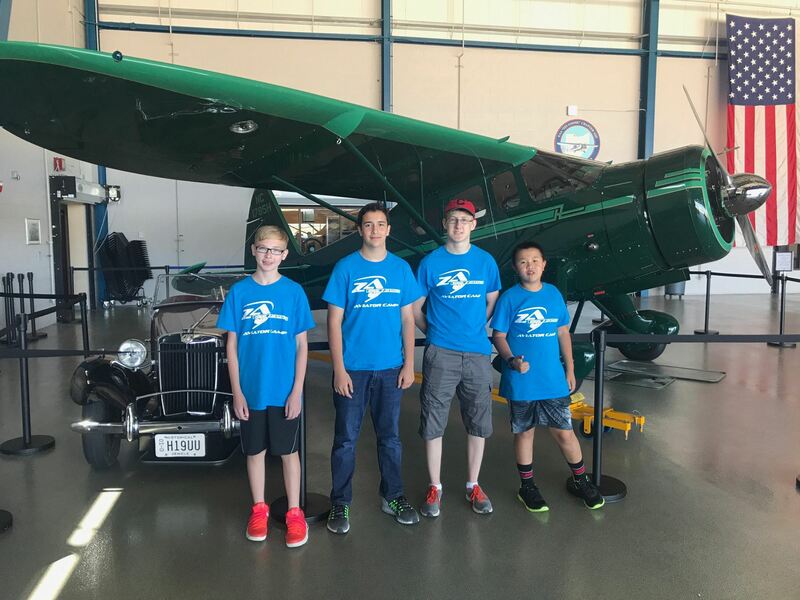 The camp prepares the students for the Senior Aviator camp by providing the very basics in aviation terminology and aerodynamics through hands-on activities, guest speakers, aviation related site tours, a simulator session and an airplane flight. The Senior Aviator is recommended for advanced campers or older teens. The Senior Aviator camp runs for one week, Monday through Wednesday, July 8th - 10th, 9:00 a.m. – 12:00 p.m. and Thursday, July 11th 9:00 a.m. – 4:00 p.m. with Friday, July 12th reserved as a rain date. This camp is a hands-on introduction to private pilot ground school. They will learn how to calculate speed, distance, fuel and wind components using flight computers, gain a basic understanding of aircraft instrumentation, and learn map skills.